This charming getaway is just a few steps from the peaceful shores of the Gulf of Mexico. An ideal retreat for family vacations, waiting for you to rent, renovate or enjoy. Situated in a wonderful corner location, overlooking the lush grounds of the community and crimson sunset views of the Gulf of Mexico. The light and open interior offers two bedroom suites in a split plan, with a convenient walk-down to relish a serene setting from the wraparound terrace. Also includes one deeded parking space. 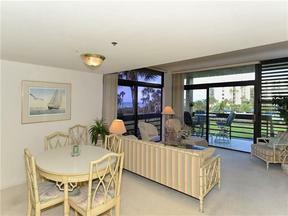 Fall in love with this delightful beachfront community. Beachplace is a lively neighborhood just a few steps from immaculate shores and white-capped waves of the Gulf. Residents enjoy 24-hour manned guard gate, on-site management, tennis, fitness, social activities at the clubhouse, newer lobbies in each building, heated swimming pool and spa. Centrally located just a short drive from Longboat Key Club’s Islandside and Harbourside facilities, Avenue of the Flowers, St. Armand’s Circle and the rich life of downtown Sarasota.